Here’s Part 2 of my posts about Acoustic Guitar Players. 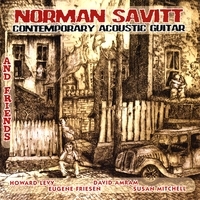 Normans guitar playing has a folkish, slight roots sort of feel to it, with a hint every now and then of the great Celtic players, but it has a refreshing newness about it. I’m a fan already only after one day. You may or may not be familiar with the guitarist Gordon Giltrap, but for those of you that have heard of the brilliant Scottish Jazz guitar player Martin Taylor, Gordon has recorded with Martin. For me that was a surprise because of my memories of Gordon’s album Perilous Journey which came out some years ago. It looks like Gordon is playing a Flyde Guitar, made popular in the 70’s. His playng at somemoments when he fingerpicks reminds me a little of Bert Jansch. It’s a very live sounding piece. Anyone who was alive, conscious and listening to music in the early seventies would have been aware of the British band called Yes with Steve Howe on guitar. Yes were very experimental in their style and were up there at the time with Pink Floyd, Wishbone Ash, Genisis, Jethro Tull, Emerson Lake and Palmer, all pushing out the boundaries of rock music. Steve Howe was and still is a very popular guitar player. Although he wasn’t a classically trained guitar player, he managed to draw from that style. In Mood for a Day you’ll hear a few Bach quotes (woof woof, sorry but it’s Christmas and as a non drinker it’s my chance at carrying on stupid.) I was fortunate to see Yes live in about 73 or 74, very memorable concert. Enjoy this youtbe video of Steve Howe guitar player from Yes. Jerry Douglas for many years now has been regarded as one of the top players in his field, resonator slide guitar. It’s about 30 years since I first heard him and to watch play in numerous diverse line ups has only proved how brilliant he really is, from the straight Country, to New Blugrass with Edgar Meyer and Russ Barenburg, I even saw a video of him playing with New York Jazz guitarist Bill Frisell. You only need to hear one or two notes and you’ll know it’s him. So today I thought it would be good to do a short post about Jerry Douglas youtube video and expose his talents to people that may not normally listen to his style, which in truth is quite broad. It’s a medley of tunes, the second one was recorded on an album Skip Hop Wobble. Resonator Guitar at it’s best! Many acoustic guitar players are only really familiar with the common production line and custom guitars from the major manufacturers, such as Gibson, Martin, Ibanez, Yamaha, Taylor, Takamine and more that have become house hold names. But it’s worthwhile being aware of what others are out there. So today I thought I’d write a short article to bring awareness to one of the other great guitarmakers out there. Jim Olson has been making guitars since 1977, he has made guitars for James Taylor, Phil Keaggy, David Wilcox, Graham Nash, Lou Reed, Al Petteway, Sting, Leo Kottke, the list is much longer, but that will give you an idea of the standard of guitar we are talking about. Although great guitar players have natrural in built music within them, a good instrument makes a difference. Currently I don’t own an Olson but it’s on my list of things to do at some point. I will be posting about different guitar makers on a regular basis that I like because it is important if you are a guitar player to have an awareness of what is happening in the guitar industry at a high level. Please note, this is not an ad. 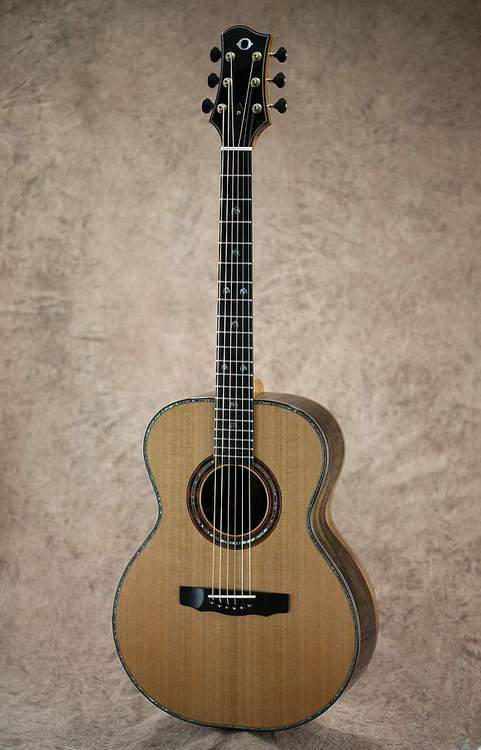 If you are a regular reader of my site, you would know that I love acoustic guitar. Guitar Blogs, the idea of a Guitar Blog for some people I have met seems a little unusual. In fact any type of blogging seems crazy to some people. So I thought Im’d write a small article on why on earth it is important to someone like myself. Some people consider a Blog as strictly a diary that is in a digital form on the web, and yes that’s /a valid interpretation of a blog but it is only one vrsion of the blog ‘truth’. I have reasonably high level web skills, because I teach web development for a living, so apart from being a user of web technology, I’m also a teacher of it. I became interested in Blogs for one simple reason. People and students that I had ,met were all wanting some sort of web presence, some sort of online place to show what they had. As I was teaching web design at the time, it seems too complex a challenge for people with limited computer and web skills to put all the pieces together and create websites. Easy if you know how of course. When I noticed wha was happening at Blogger/ Blogspot (now a Google baby inh the same way that youtube is) I decided it was easier to teach how to use an online Web Application than go through the ins and outs of web development, both the client side and what’s happening at the other end. The content can easily be updated on a regular basis without having to rebuild or add pages to a site. It displays in a chronological order, newest content above the oldest. There are multiple tools for doing specific tasks. I can write any content I like and have it fit comfortably into the template. So instead of writing about my dog, what i had for dinner, what’s the latest at the movies I write specific articles about guitars, acoustic, blues, fingerstyle, how to play scales, I add youtubes, tips on how to be a better guitar layer. So really when it comes down to it,’guitar blogs are the obvious solution to what I wish to do, which is, share the information that I have learnt over a 38 year period of plying guitar. And I still love it as much as when I started 38 years ago when I was 14.